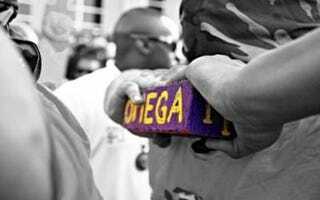 Black Fraternities Turn 100: Living Up to Their Heritage? Uptown magazine takes a hard look at black fraternities as they enter their second century, and explores whether they have fulfilled their legacy as fighters against racial injustice and ostracism. The author, Rodney T. Cohen, an assistant dean and director of the Afro-American Cultural Center at Yale University, essentially maintains that these organizations have fallen short of their goals and should work hard to get back on track over the next 100 years. The directive comes at an important time. Kappa Alpha Psi recently concluded its centennial season, and Omega Psi Phi is gearing up for its celebration on July 27. Cohen adroitly argues that black fraternities are not the same as those attended by leaders such as Dr. Martin Luther King Jr. In the first half century of these organizations, they were noted for providing cultured events in the community and on college campuses alike. The[y] also provided a sense of manly preparation and guidance for the future leaders of the race. In fact, in one of the fraternity's early mantras it states that in addition to providing a brotherhood, it is also intended to "preserve the sanctity of the home" and protect the "chastity of woman." With the onslaught of popular culture that has high jacked the black community, it has been a challenge for these national organizations to restore the rich cultural legacy of these groups. Any Google or YouTube search will reveal images that would be repulsive to the likes of Martin Luther King, Ernest Everett Just or Elder Watson Diggs and others who represented the long line of fraternal dignity and manhood. Cohen contends that the next 100 years should be a time of renewal and excellence for black fraternities. He is right. In other news: 8 Political Myths About African Americans.